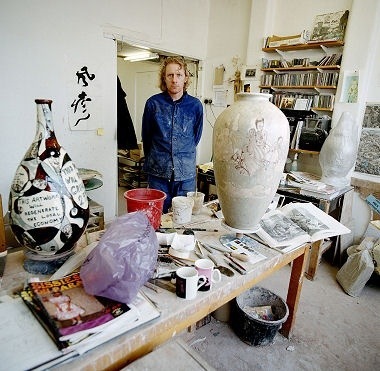 On the occasion of last year’s exhibit Grayson Perry: the Tomb of the Unknown Craftsman at the British Museum, the Art Newspaper interviewed him on his work, themes and process. In case you are unfamiliar with this Turner prize winner, he is one of the most eloquent, thoughtful artists the mass media (British anyways) gives the podium to. There are lots of interviews with him posted on YouTube, etc so take a peek. Exactly. While I don’t think all work needs to be about the dire – I do believe even spirituality can exist in work – art needs to be done with integrity. 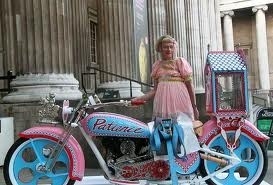 While the content in much of his work is intense, Grayson Perry takes whimsy very seriously, and plays with great integrity. So regardless of the type of content – have it first – then do what you will.